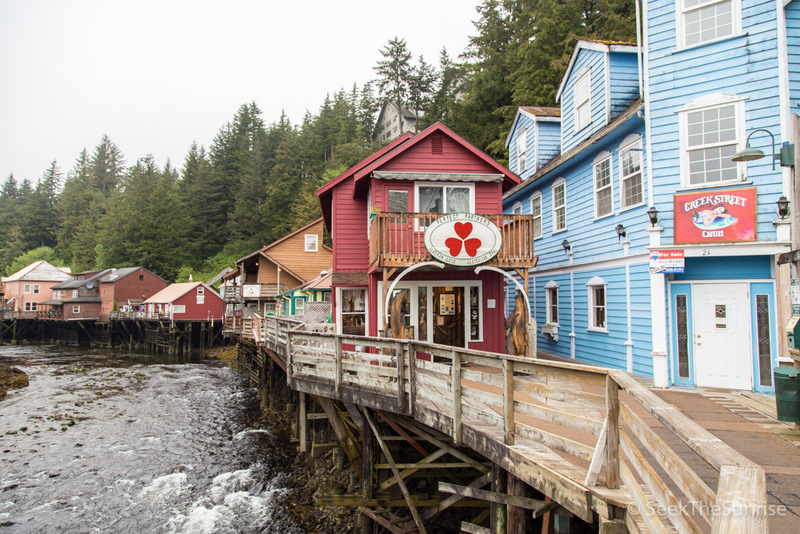 If you take an Inside Passage Cruise through Alaska then the chances are high that you will be stopping at the 4th largest city in the state, Ketchikan. 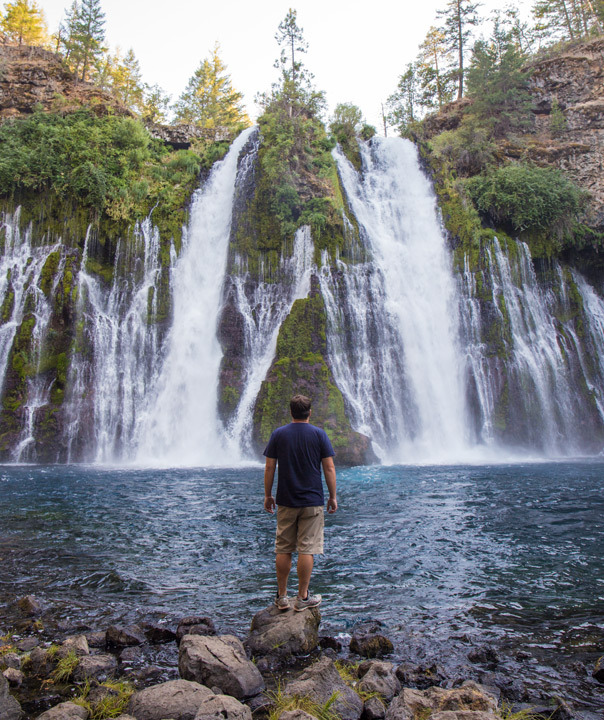 If you want to take one of the fun but expensive excursions then this post is not for you. 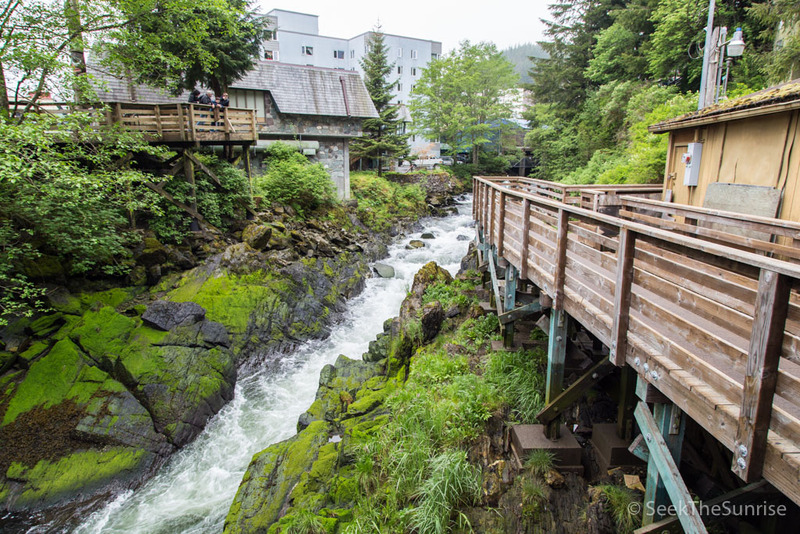 This post is simply about how to spend a day in Ketchikan and maximize your time without any pricey excursions. Here is how I did it for less than $10 and my boat was here from 7 AM to 2:30PM. I decided to eat breakfast on the boat as that helped me save money in town, so after I ate I proceeded down onto Alaskan soil for the first time. Here is a view of the city from my breakfast spot on the cruise. As soon as I got off I started my walking tour of the city, I grabbed a map and headed through the very touristy main sections, full of jewelry shops and restaurants as I made my way to the eventual entrance of Creek St. 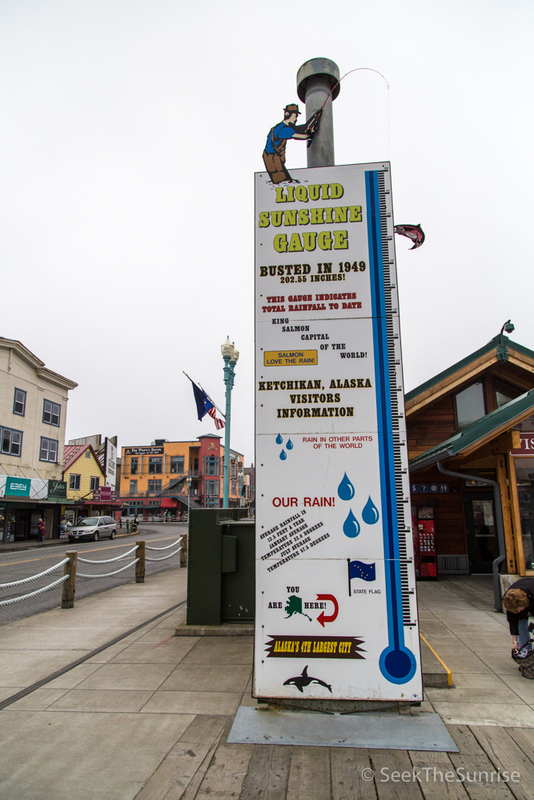 Along the way I did get to see the sign for the city of Ketchikan as well as its liquid sunshine gauge which showed how much rain they had last year in feet, it was a crazy amount. From here I headed onto the famous old Creek St. This is by far the best part of the city as all of the houses are built on stilts or an elevated walkway that was once used for men to visit ladies of the night. This entire area is steeped in the prostitution history, but the street itself now has tons of shops as well as beautiful views at every turn. I spent a lot more time here then I needed to but it was hard to leave as it was so pretty with the creek running down it. If you are interested you can take a tour of one of the most famous brothels called Dolly’s house and it costs $7.50, I didn’t end up going though. Eventually we made our way onto Married Man Trail which was one of the main routes to Creek St back in the day and then onto Park Road to head over to Totem Heritage Center. After walking along the river for a while we crossed a few unique spots like the “worlds largest gold nugget” and a rehabilitation center for eagles (none were there though). After that we passed over the bridge and made it to the heritage center which features a lot of history on the totems that are so famous in the area. There are two massive totems outside that you can pose with and lots on the inside that you can see as well. This center can take as short or as long as you would like. You can always walk around the outside and see the totems if you don’t want to visit the center as well. I opted to walk back through the historical section of the city instead of retracing my steps and all that was really here anymore was plaques and old run down buildings that used to have more life. They do have lots of information on the sides of the old buildings show what they used to look like, but other then Creek St the town has been upgraded. The New York Cafe and Hotel is still there though and it is a fun place to sit down for a meal as it was established in 1925, closed then reestablished in 1991. After walking through the historical section I ended up at the historical museum that we passed in the beginning. I went in and paid my fee before I explored the small museum. There were a few unique attractions and lot of history, also the man working there was great and loved sharing his knowledge. He even took me to see this clan house replica, which was used as a basis for the actual clan house that we saw in Totem Bight State Park. From here we got a seat on a bus and road on the 30 minute ride up to Totem Bight State Park. 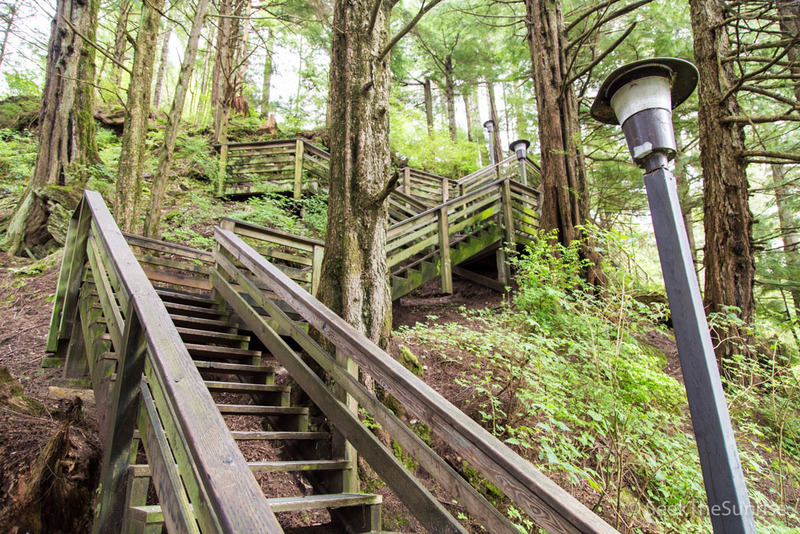 After buying an all day bus pass for $2 we set out on the 30 minute ride to the state park. If you want to read a whole post on the park you can click here but it was a fun way to spend a few hours. After arriving at the State Park the driver left us with about an hour before he returned. An hour was more than enough time though and I saw all of it in about 35 minutes. It was worth the small excursion for me as it was fun to see the clan house and all the totems, but you would not have to go if you didn’t have time. So for a total cost of less than $10 I had an epic day in Ketchikan without booking a single excursion. 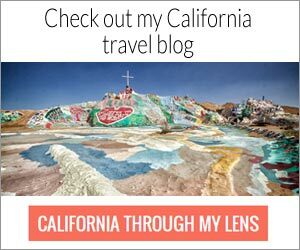 It was a really fun way to explore the small city and I recommend it to others looking for a cheap way to see the city. 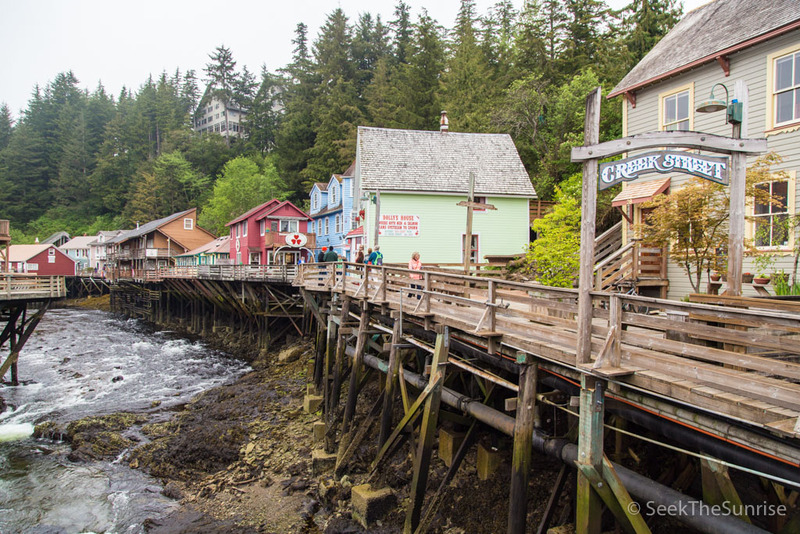 Let me know what your favorite spot in Ketchikan is in the comments section below.